Below you will find links to company and product information for manufacturers and suppliers in Sweets matching the term Manufacturer-Texas-Building-Products. This page is designed to meet the needs of architects and design professionals who are researching, comparing, selecting and specifying products. Below you will find links to product information for manufacturers and suppliers matching the term Manufacturer-Texas-Building-Products. Each product presentation is designed for the construction industry professional and displayed in a consistent manner. Content categories include: project galleries, specifications, BIM objects, CAD details, 3D Models, product catalogs and green product information. Note to Building Product Manufacturers: Our goal is to include all manufacturers who are providing building product information in Sweets. 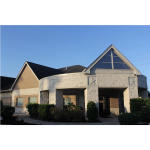 If your company is missing or you have noticed a mistake in one of the listings, please contact us us today. Sweets is meant to be the most comprehensive and useful tool for finding building products information. Your feedback will help to ensure that design professionals obtain the information they need in the most useful form and help building product manufacturers to improve their content. 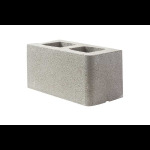 Description: Burnished Concrete Block Model: Burnished Concrete Block Burnished block from Texas Building Products offers the richness of a ground surface which exposes the colors of the aggregates of the block. A factory-applied sacrificial sealer further highlights the burnished surface. 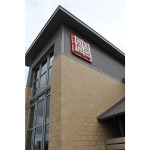 Description: Split Faced Concrete Block Model: Split Faced Concrete Block Split-face block from Texas Building Products offers the texture of broken-face stone in a variety of sizes up to 16”x24”. The texture of split-face block gives a wall a dramatic contrast to other materials and textures.